The world’s leading series of bow and stern thrusters for leisure boats are the SE series from Side-Power. 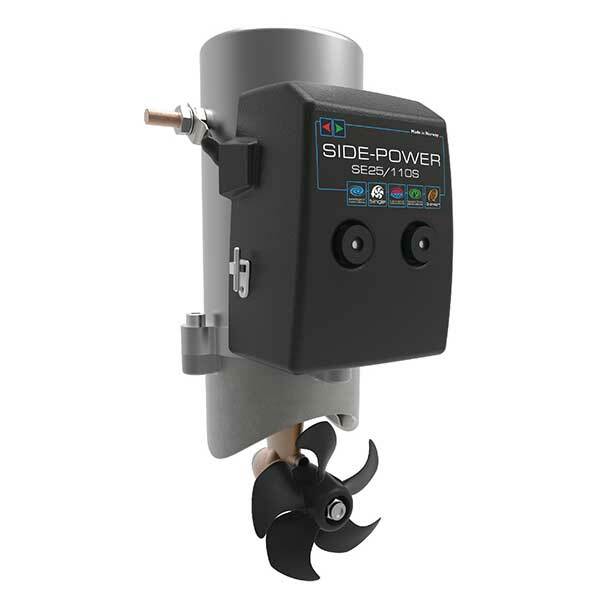 Side-Power offers the world’s largest range of DC thruster systems for leisure boats. All the approved features and well-known quality boat builders around the world value, are now available for even smaller vessels. With the new SE25, we add yet another tunnel diameter to our extensive program. With a tunnel diameter of only 110mm, the SE25 is suitable for vessels up to 24 feet depending of the vessels windage area. As with all the other thruster models in the SE series, the SE 25 also offers tremendous installation flexibility, as the thruster can be installed upon the tunnel in any angle and the thruster motor can be rotated on the motor bracket in 90 degrees steps. The SE25 are galvanic insulated as the larger thrusters in the SE series and features Side-Powers patented IPC technology for intelligent power control and safety. The SE25 is only available for bow installation.